The Big Blast Inflator Cap is a fun way to use a non-explosive target that merely operates by air pressure. With a Big Blast Cap you can pump air into a plastic bottle. We recommend up to 80 psi depending on the weather and size of the bottle. You place it down range at least 60 feet away and shoot it with a projectile. The pressurized air immediately disperses to normalcy creating a "boom" as the air molecules rush out into the normal atmospheric pressure. 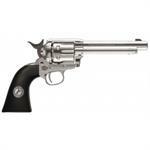 Works with airguns, slingshots, pistols, rifles and more. A great alternative to traditional explosive and reactive targets.